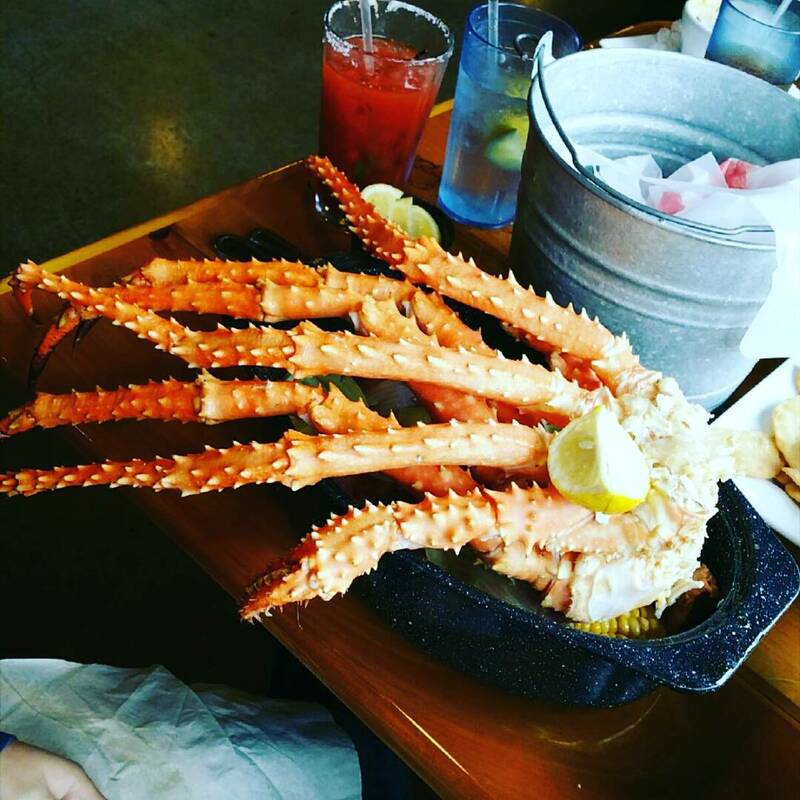 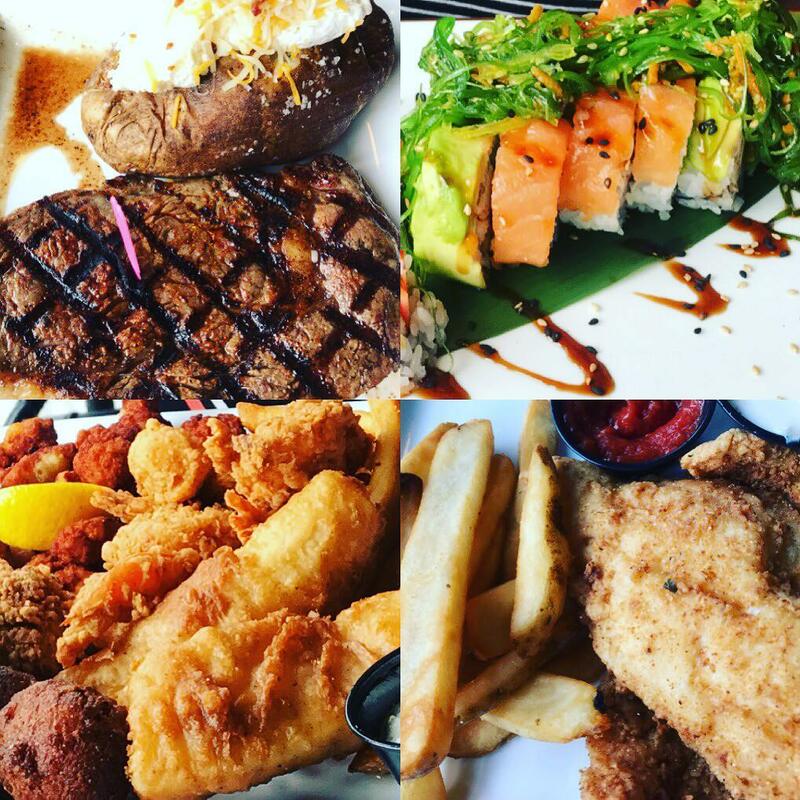 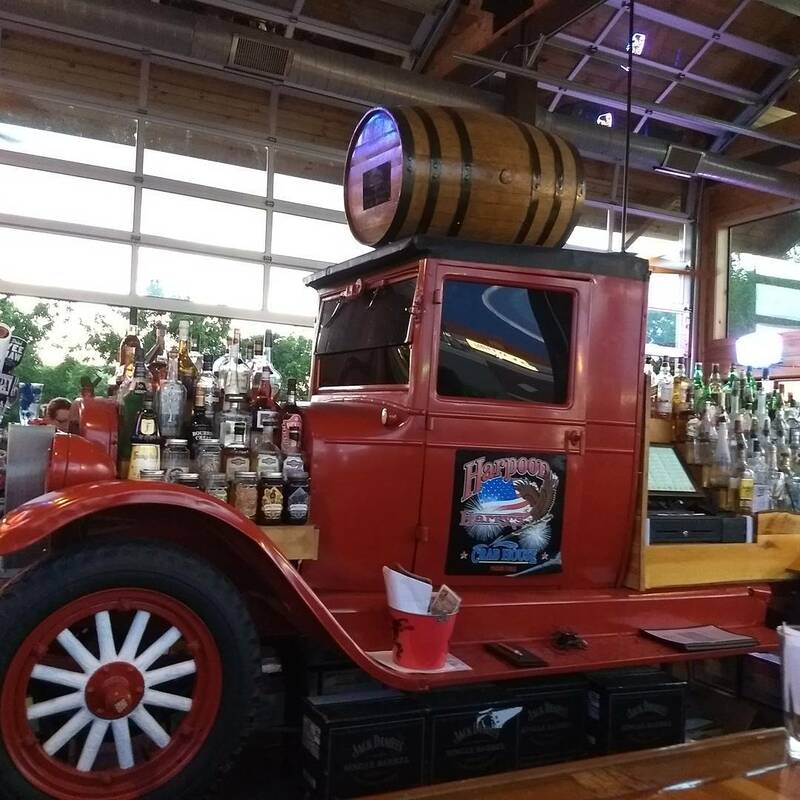 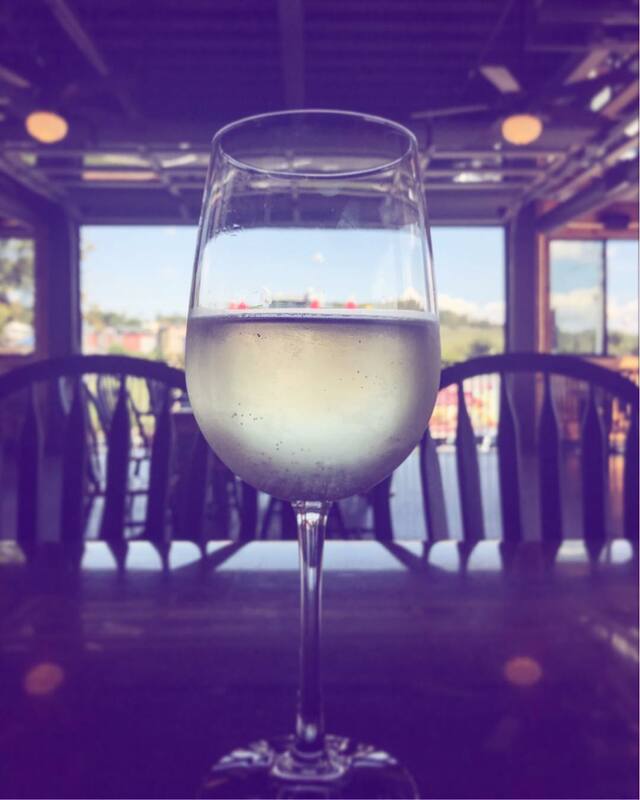 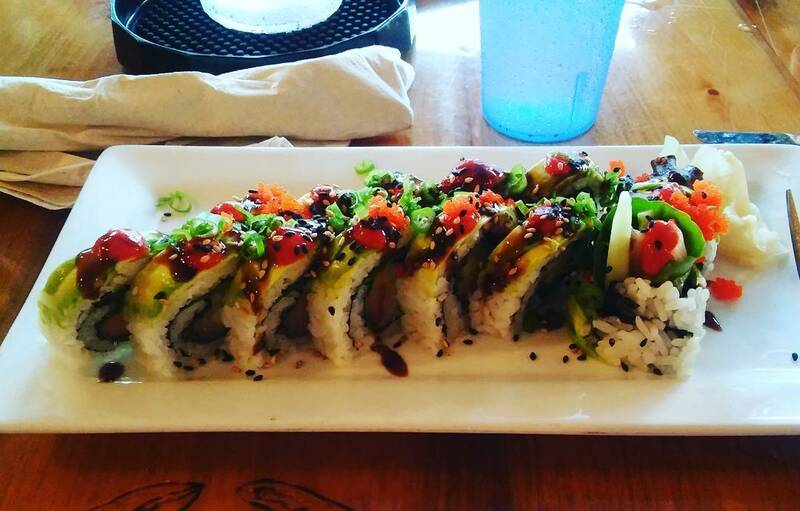 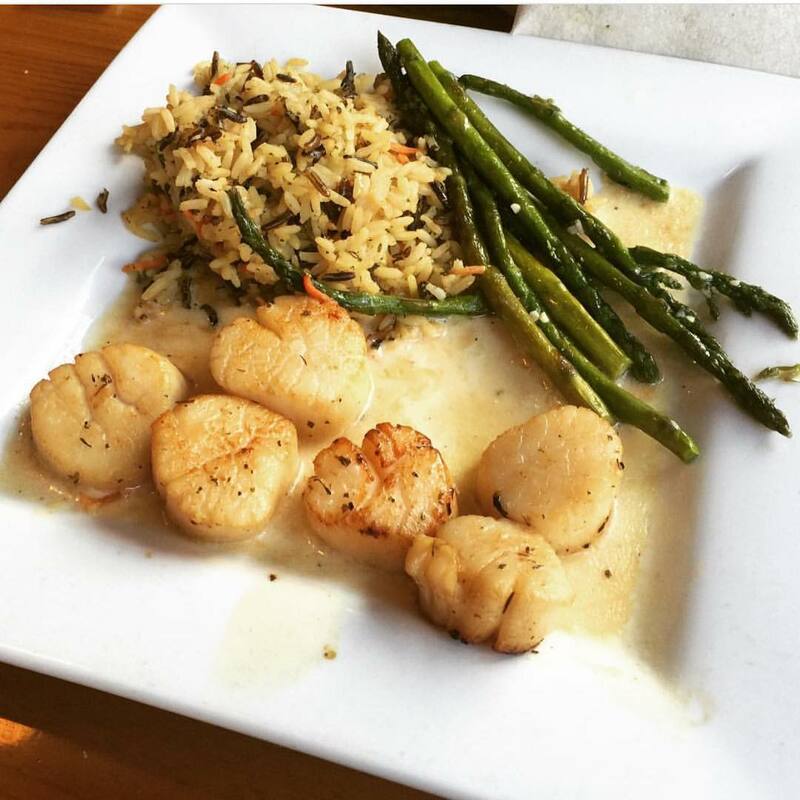 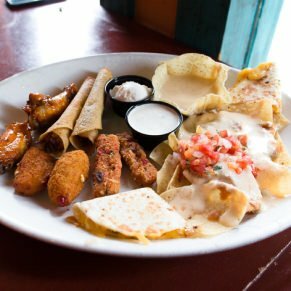 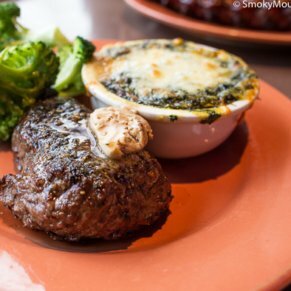 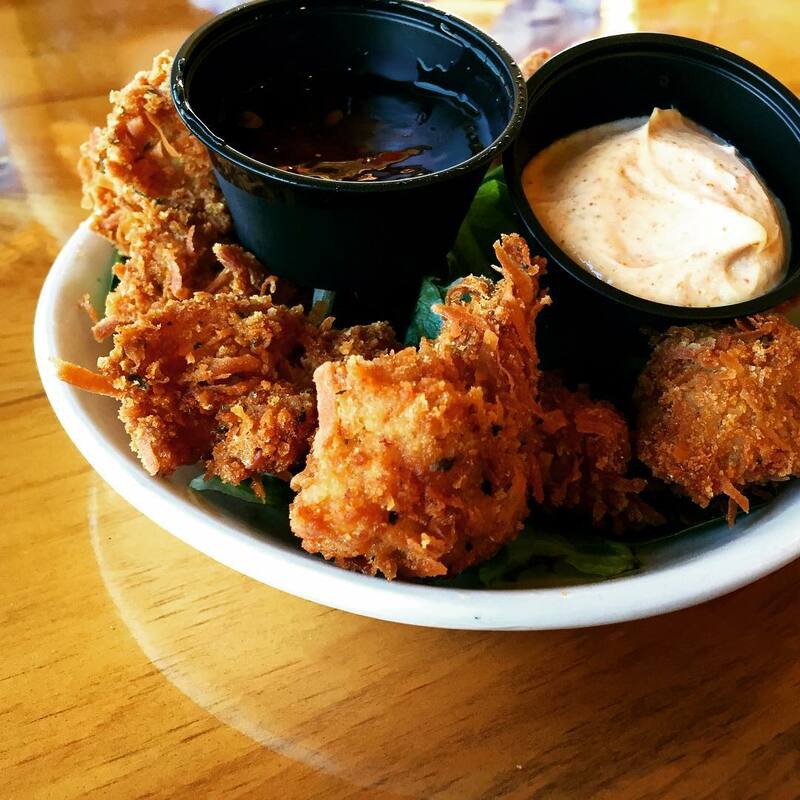 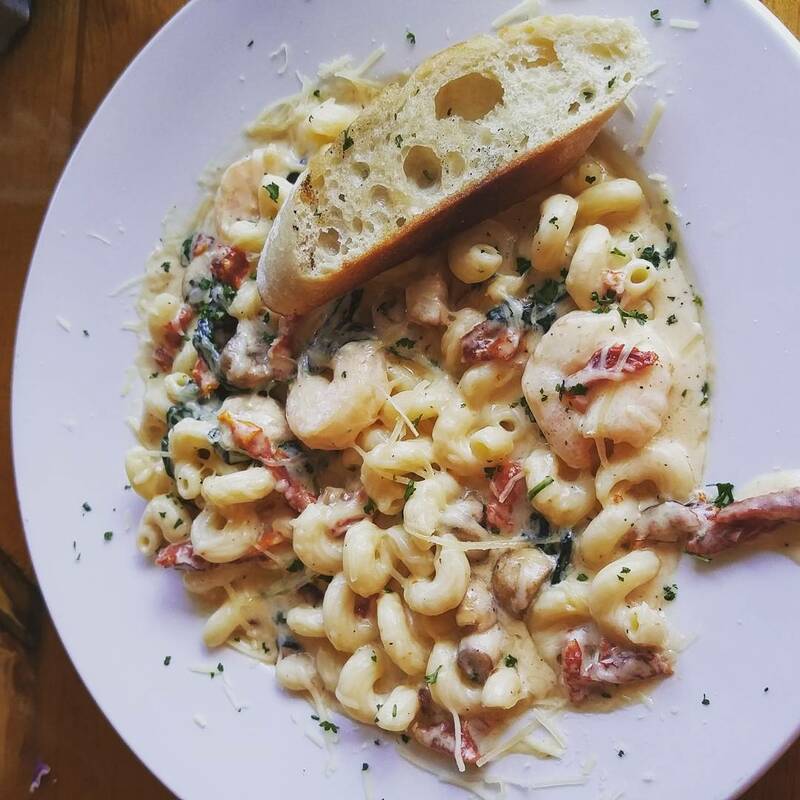 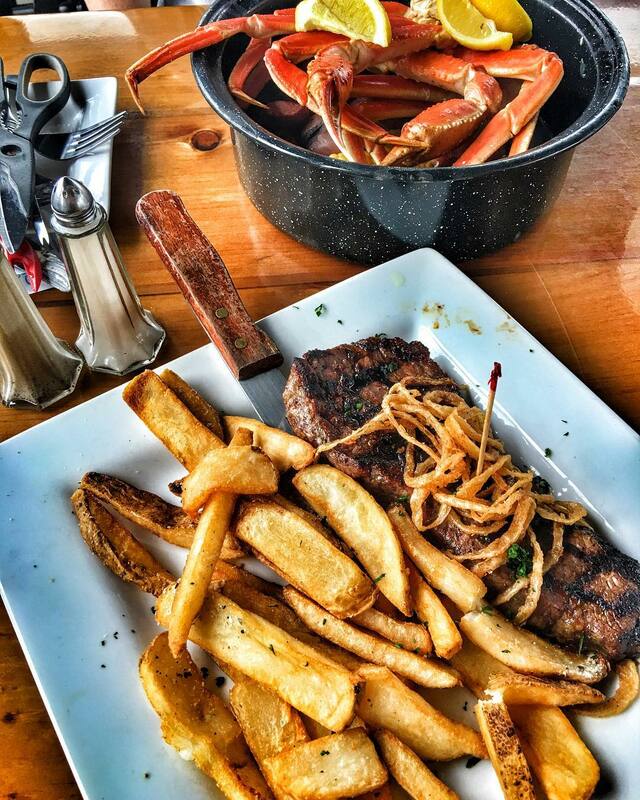 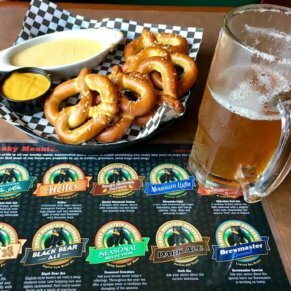 Although saltwater seafood and the Smoky Mountains are an unlikely pairing, Harpoon Harry's in Pigeon Forge is worthy of a visit! 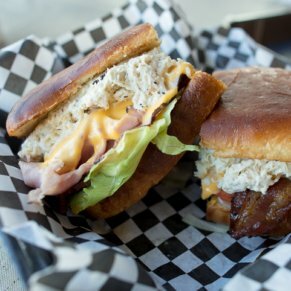 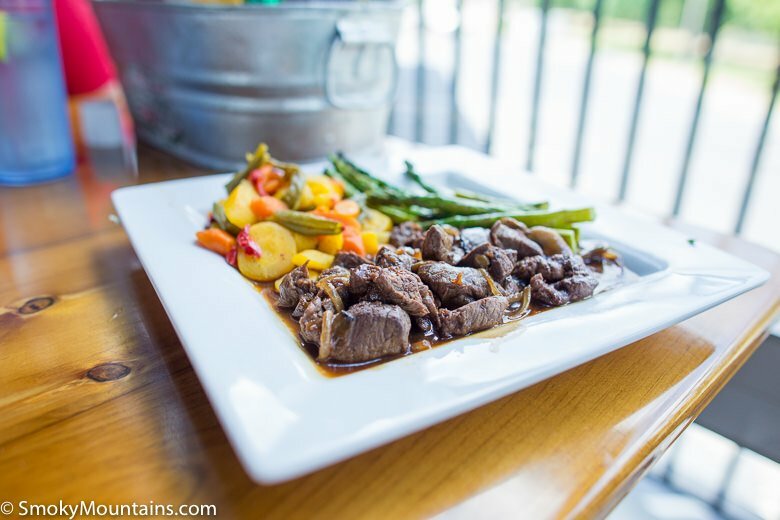 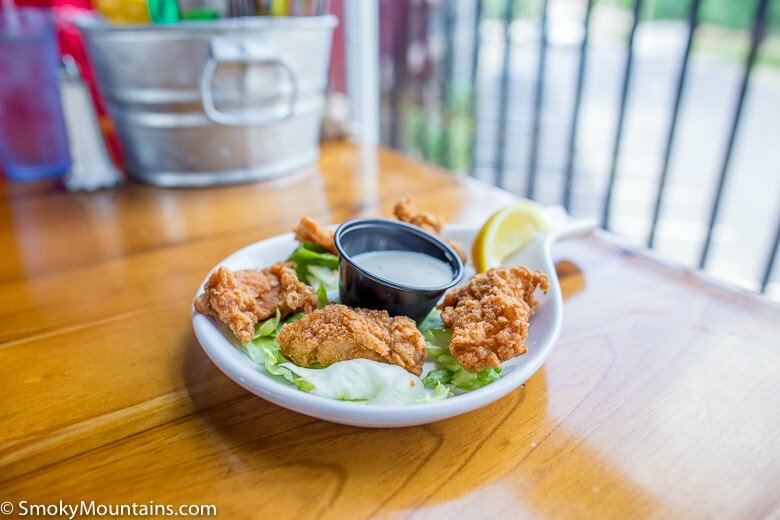 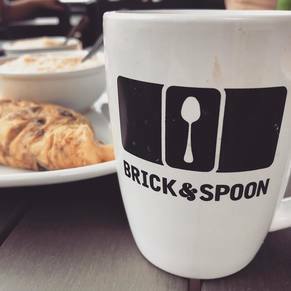 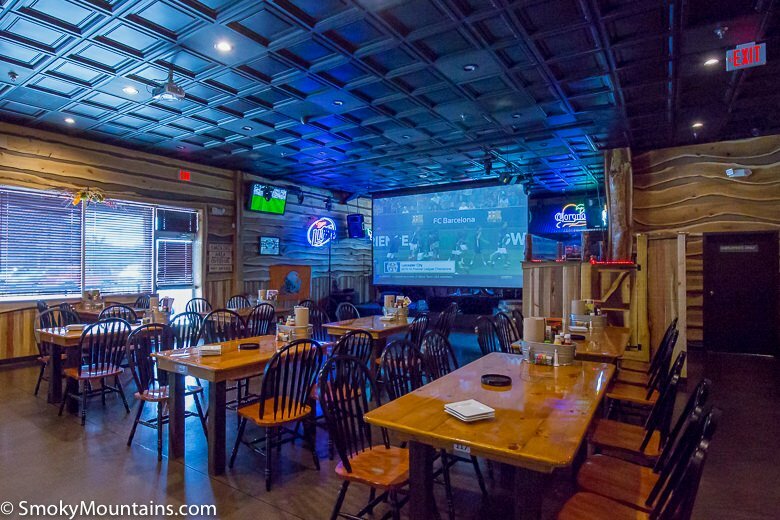 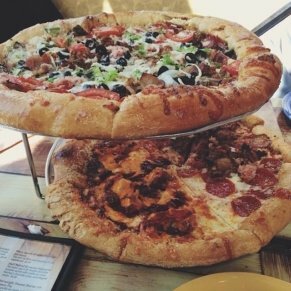 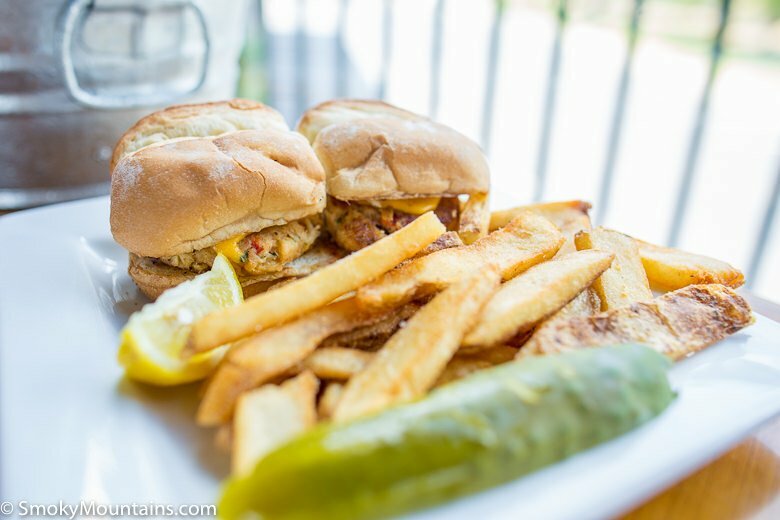 The service is great, food is good, and the atmosphere is an entertaining combination of Appalachia and the beach. 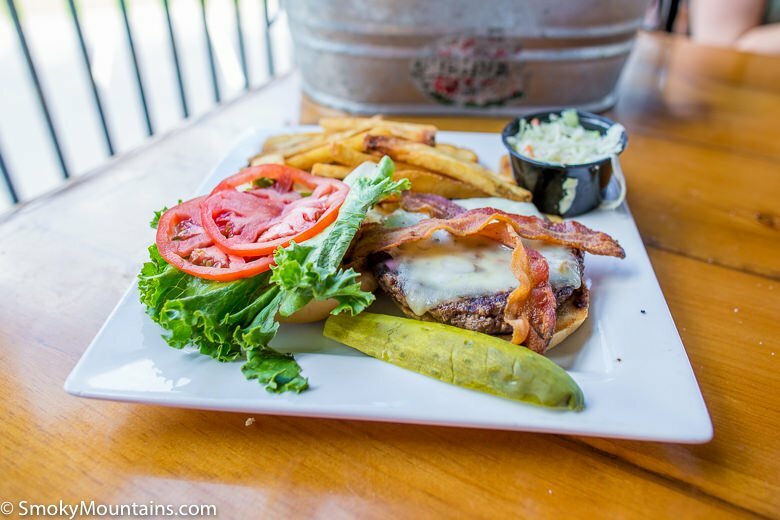 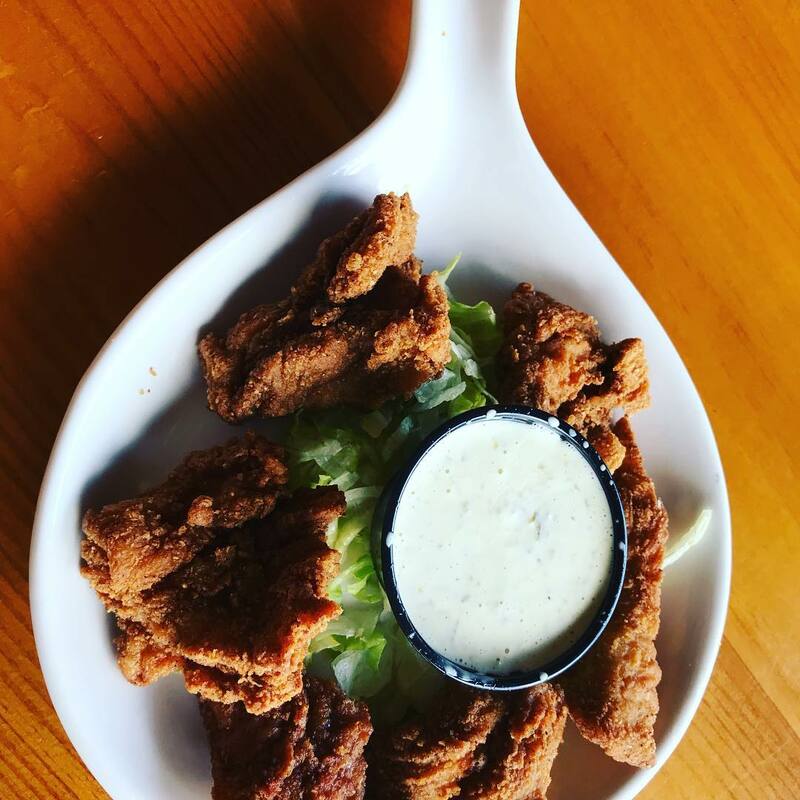 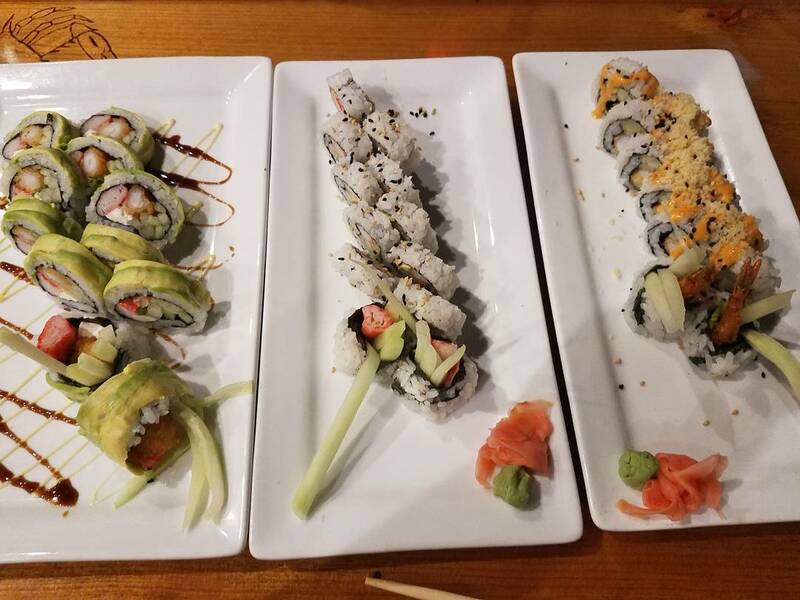 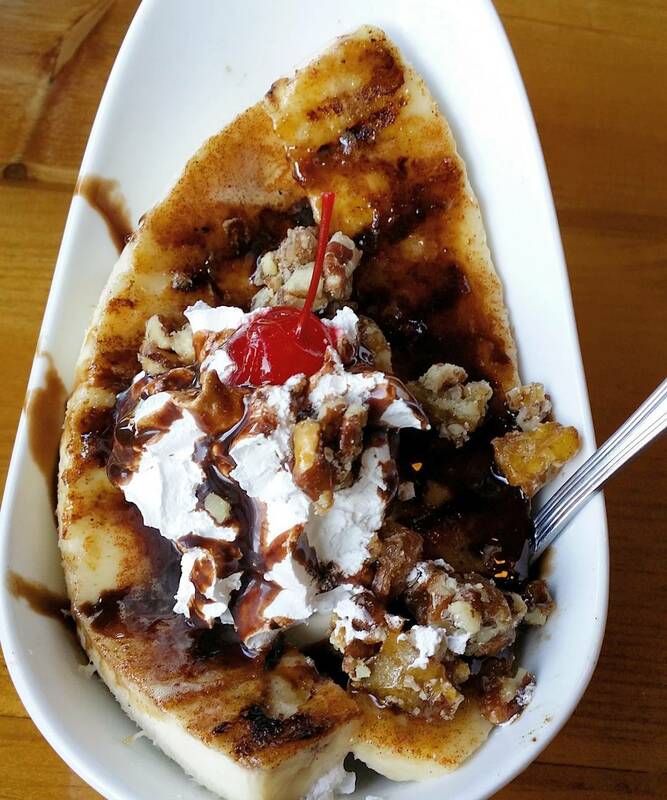 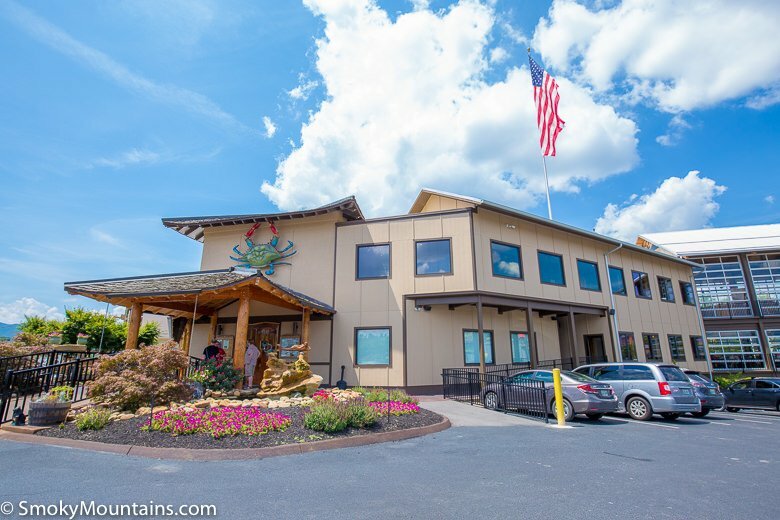 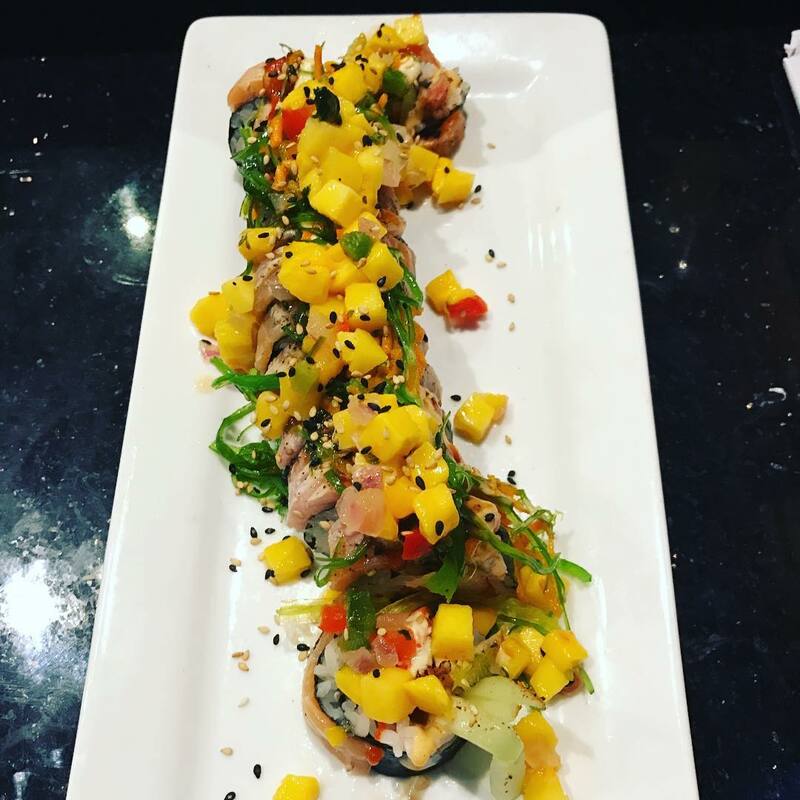 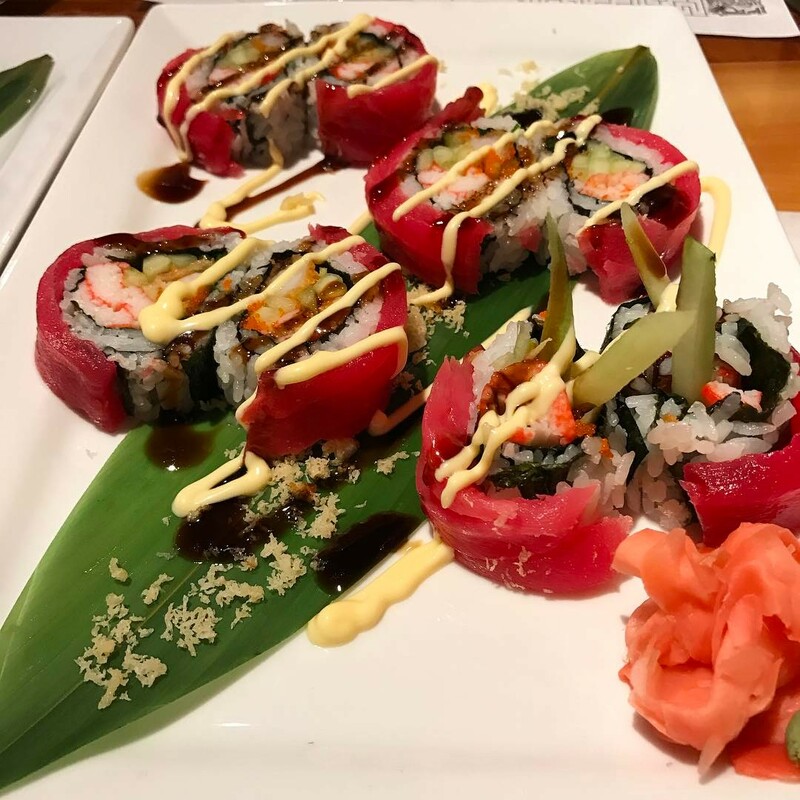 Harpoon Harry’s, which is located in Pigeon Forge near Walden’s Creek Landing, is arguably the highest quality seafood restaurant in the Smoky Mountains. 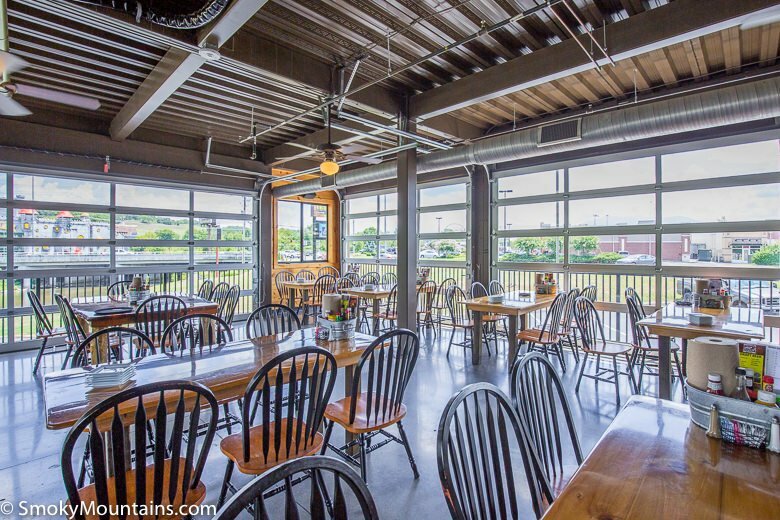 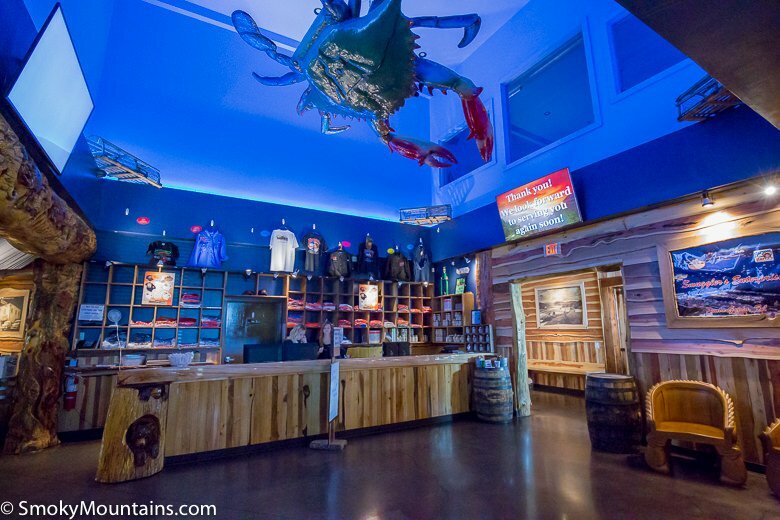 The interior of Harpoon Harry’s is absolutely massive! 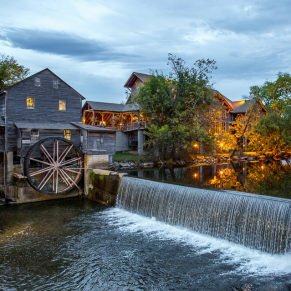 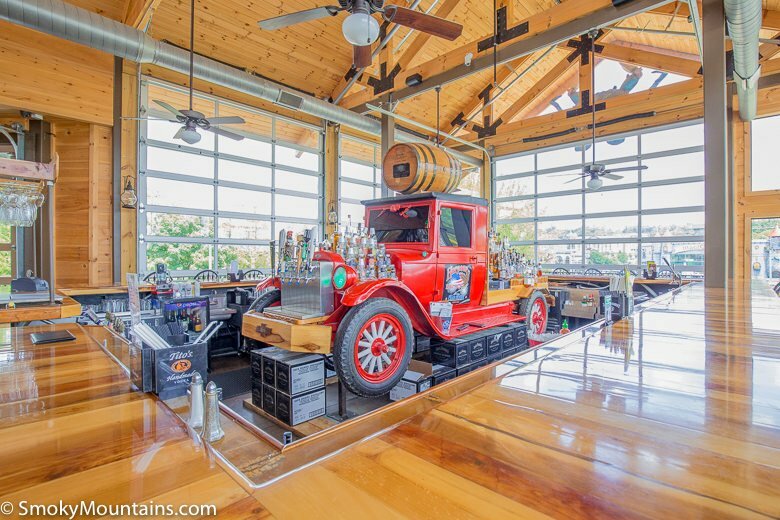 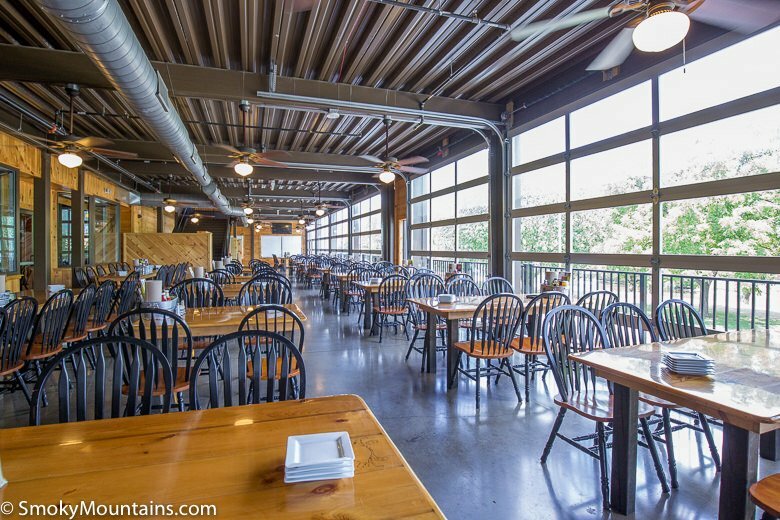 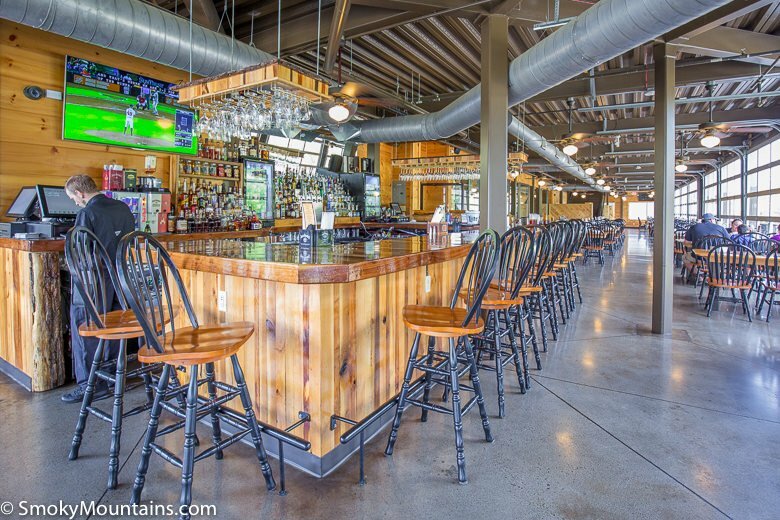 The restaurant, which is one of the largest in the entire Smoky Mountains region, is over 26,000 square feet and seats 650 people. 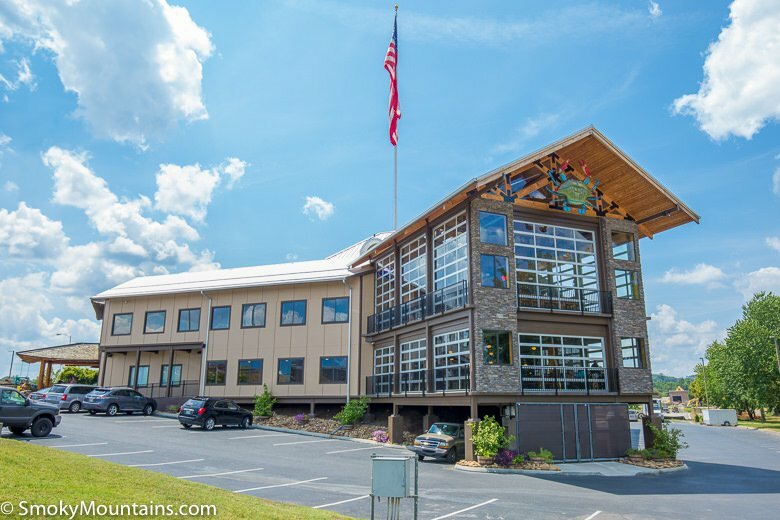 The 2015 building remodel cost over $3 million and the finished building is stunning! 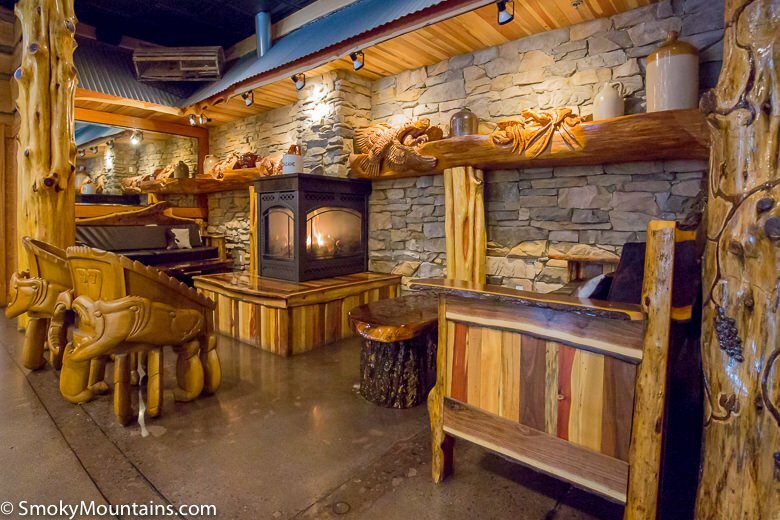 Uncut timbers from a local farm were cut on-site with a portable sawmill and kiln-dried at the restaurant. 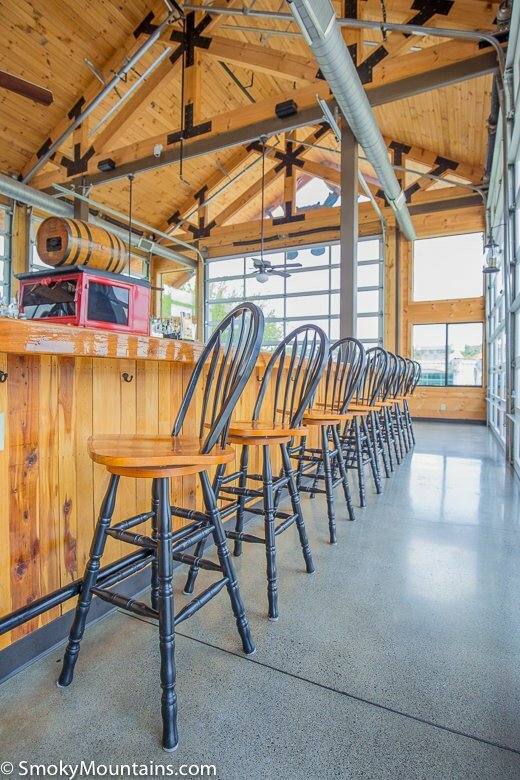 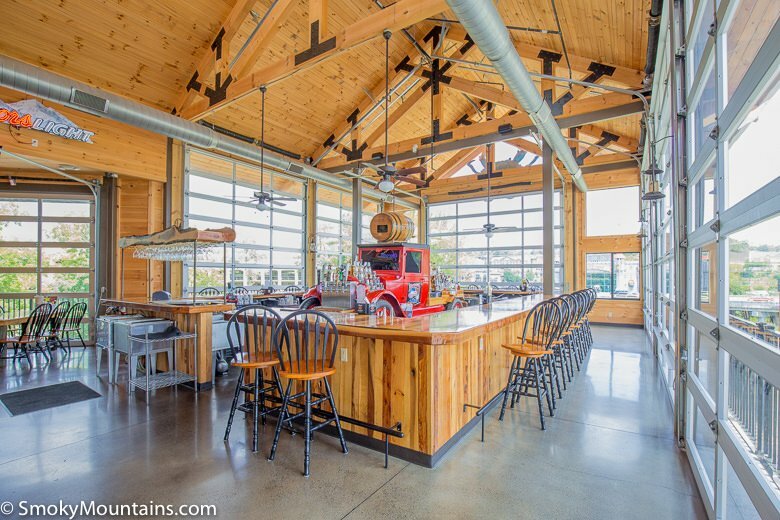 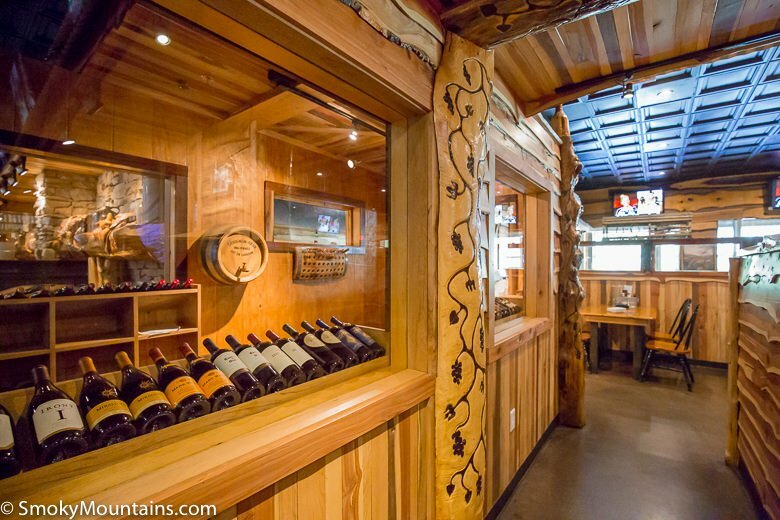 The walls were finished in custom cedar planks and every table was custom-crafted by an artisan. 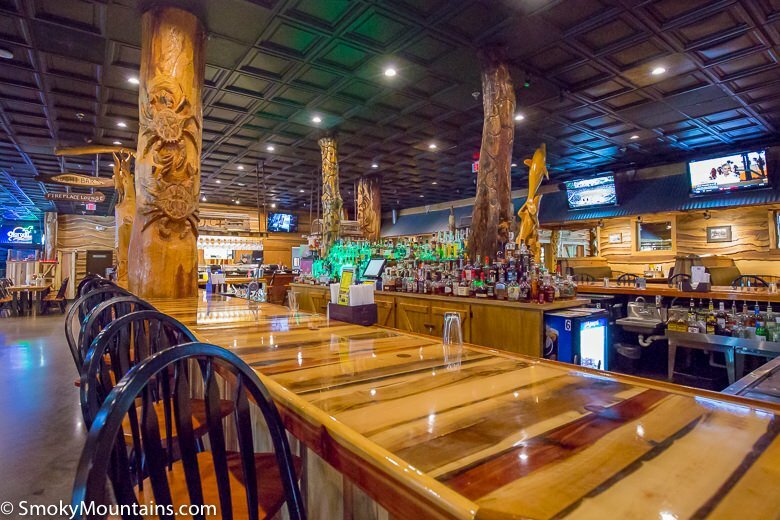 In addition to the building itself, Harpoon Harry’s features over $50,000 in wood carvings from the local Smoky Mountain craftsman Randy Boni. 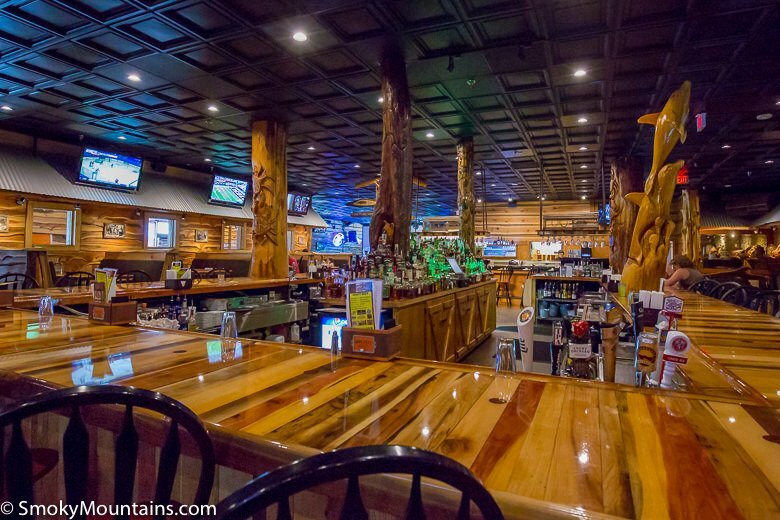 The interior area has sitting areas with fireplaces, huge open-air dining sections, massive bars, and beautiful river and mountain views. 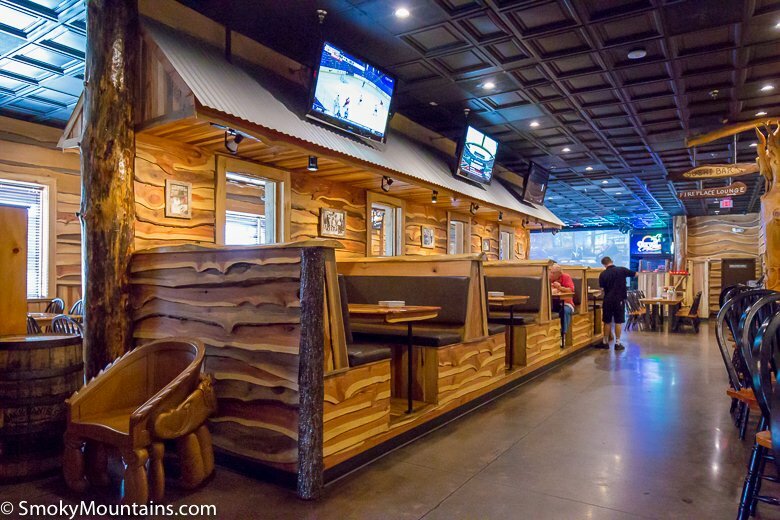 Now, if you are looking for a deep fried catfish buffet, this is NOT the place for you. 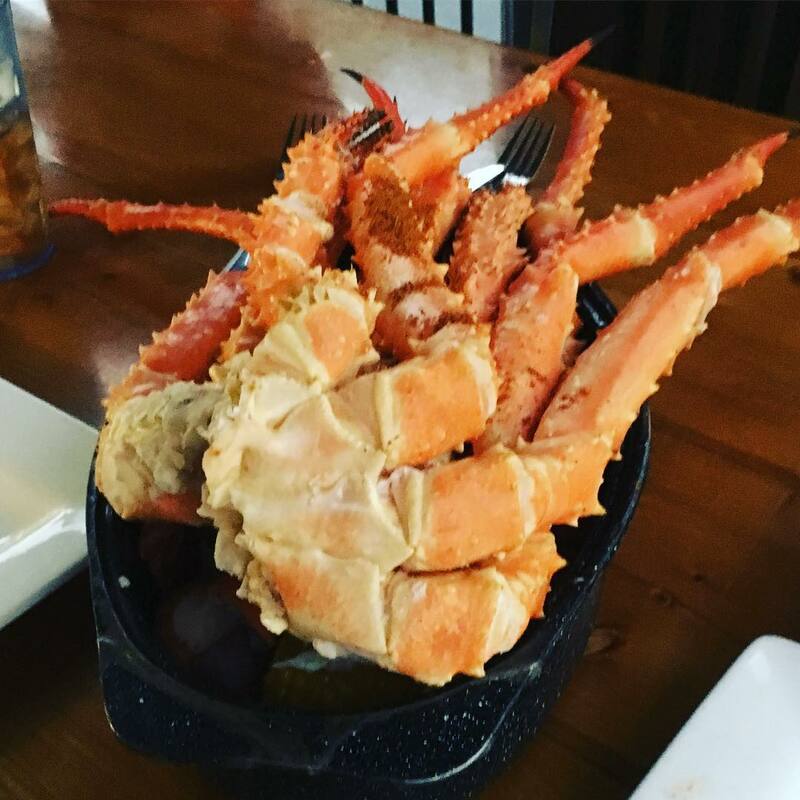 Harpoon Harry’s offers fresh seafood that is similar quality (and price) to what you would find at an oceanfront eatery. 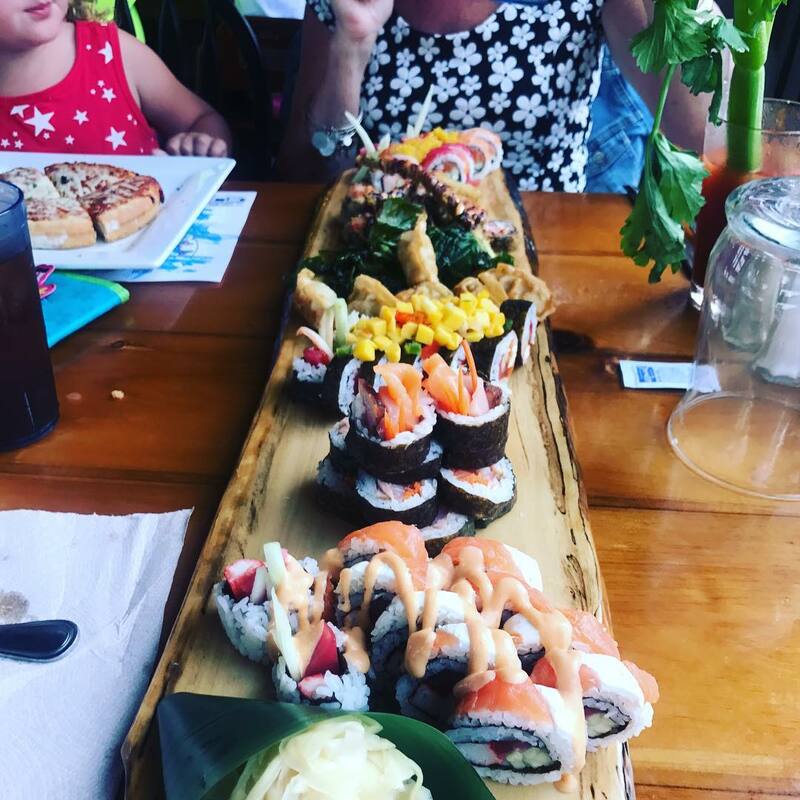 In fact, the owners of this restaurant own two different restaurants in Florida on the Gulf. 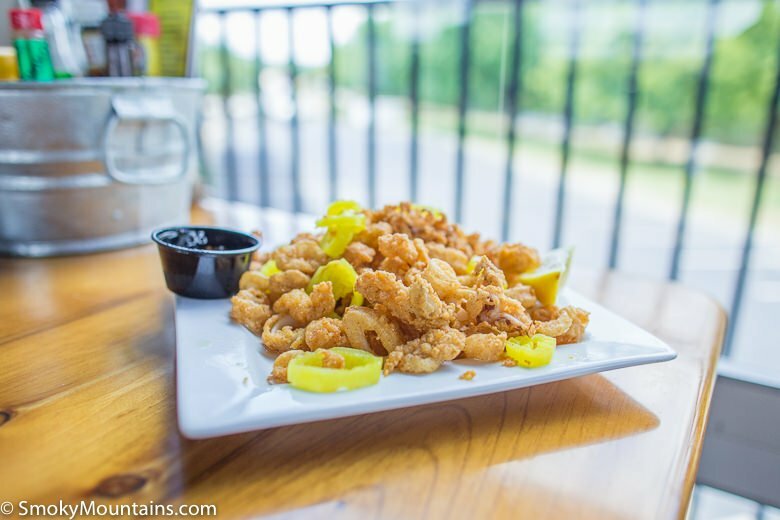 Fried Calamari – The calamari is very lightly breaded and served with a sweet chili dipping sauce. 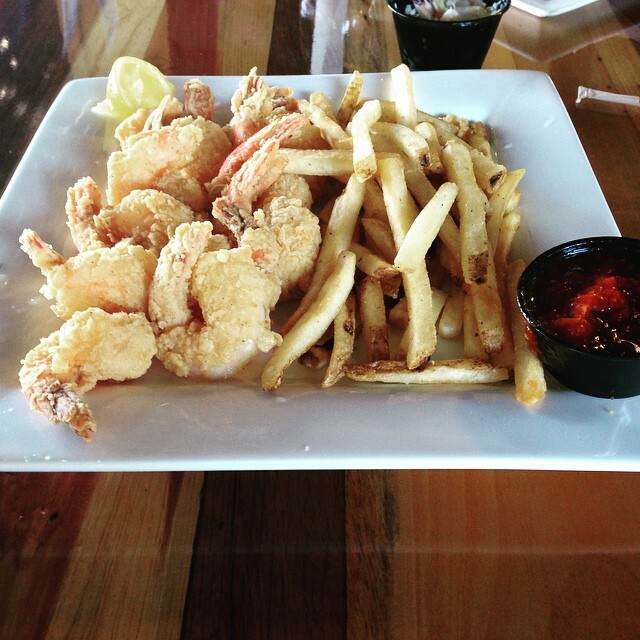 It was fried to a golden brown and served with banana peppers for additional flavor. 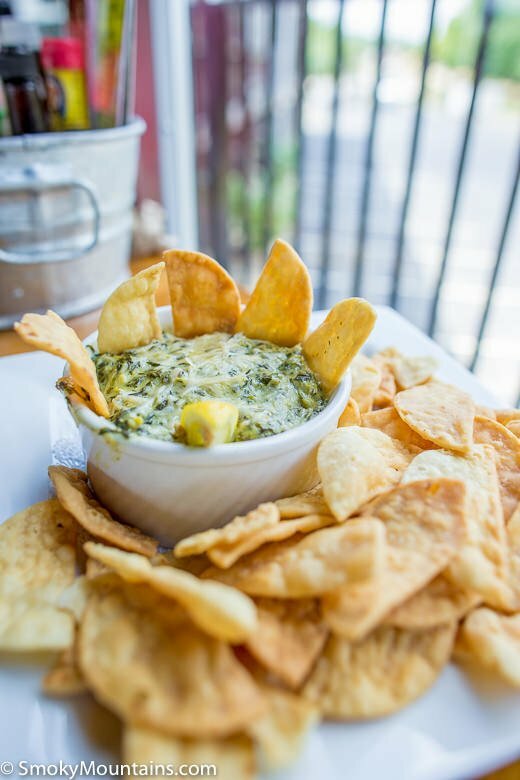 Spinach Crab & Artichoke Dip – This creamy concoction of lump crab meat and artichoke hearts did not stand a chance at our table – it took us less than five minutes to put the homemade pita chips to work and polish this off. 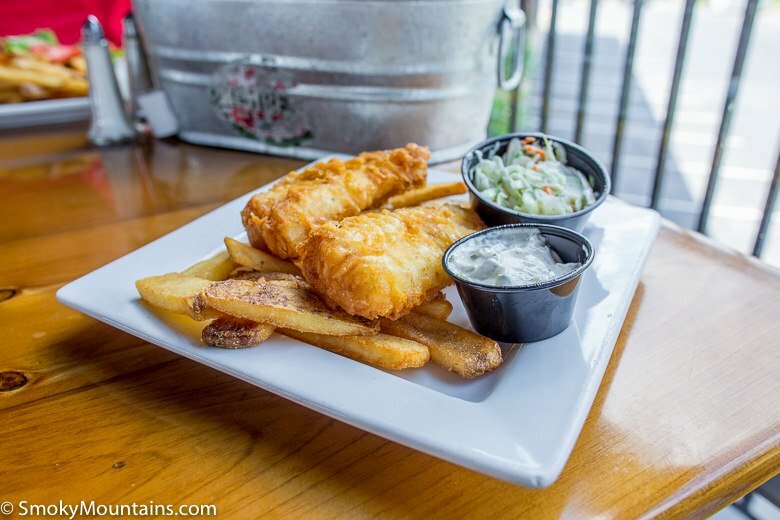 Fish & Chips – The hand-battered cod at Harpoon Harry’s is the freshest fish and chips we have found locally. 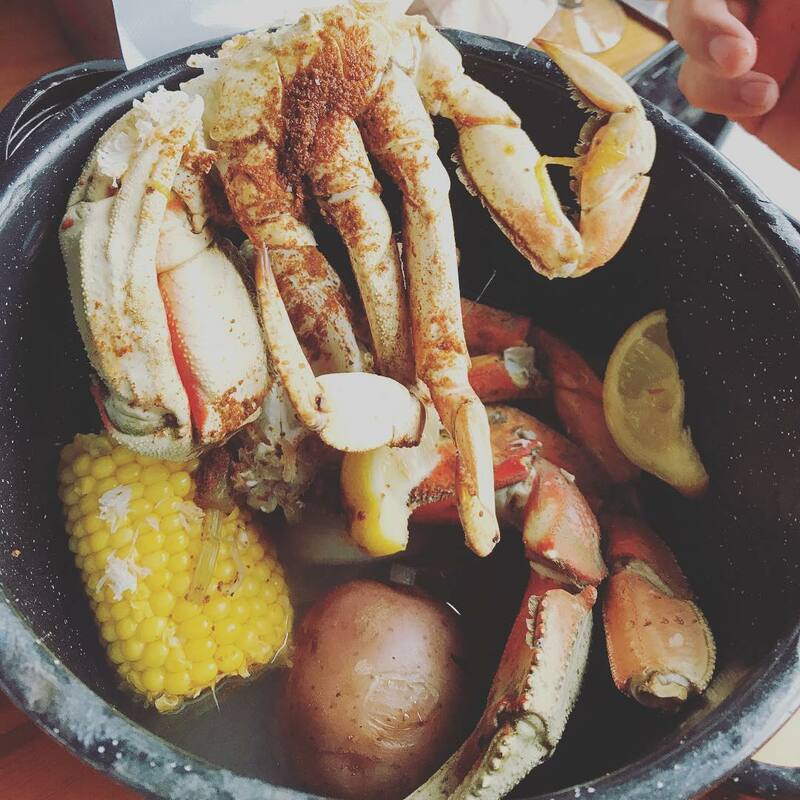 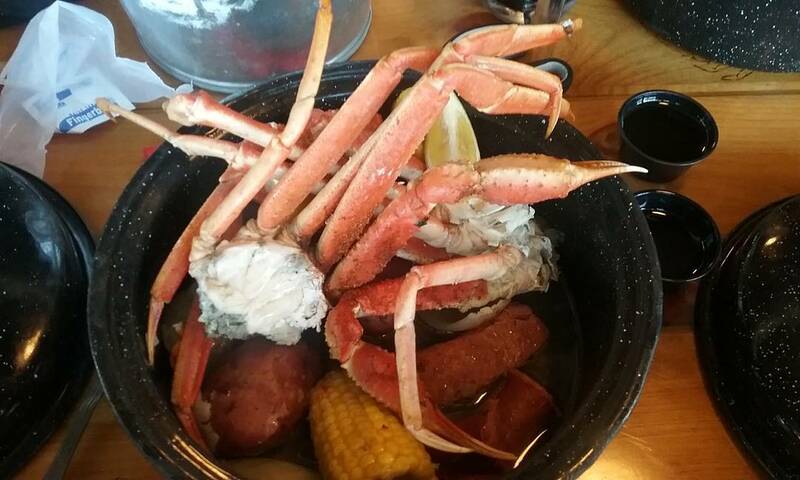 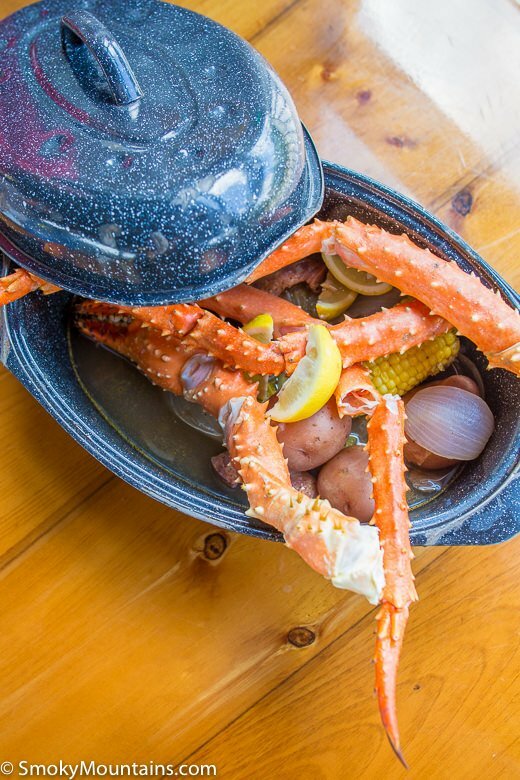 Premium Alaskan King Crab Bucket – 2 pounds of Alaskan King Crab, corn on the cob, smoked sausage, onions, and red potatoes in an Old Bay broth is a feast that will make any sane person happy. 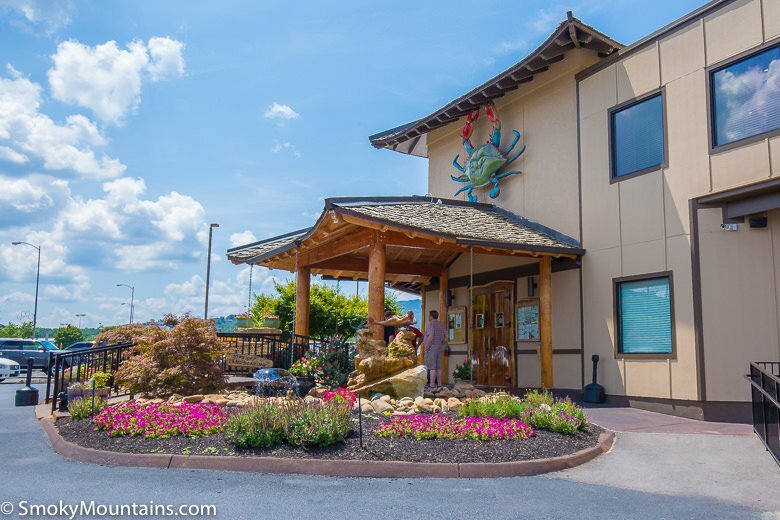 Driving through Pigeon Forge towards Gatlinburg on the main Parkway, turn right at red light #2B on to Community Center Drive. 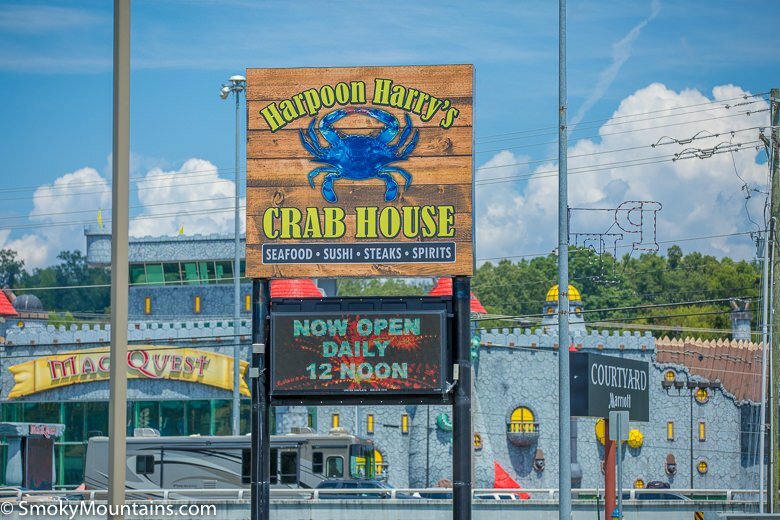 Harpoon Harry’s is directly ahead on your right-side.